On March 15, Unilever announced that The Netherlands will be its new single legal corporate base. Before, Unilever had 2 parent companies (UK plc + Dutch NV) and 2 HQs (London and Rotterdam). FT: this "decision marks [a] blow to British PM Theresa May". Without Brexit, London is a logical choice, if only given Dutch board remuneration issues (my 14 March blog). FT: "Mrs May is adamant that the Unilever move has nothing to do with Brexit and felt vindicated by comments from Paul Polman, [Dutch] chief executive [of Unilever], that it was not a factor in the decision. “He could not have been clearer,” said one ally of the prime minister." The FT article suggests a firm coupling between UK businesses and UK politics. Another FT article states: "Britain’s third-biggest company by market value has just confirmed Europe’s worst kept corporate secret. As anticipated by the Financial Times some weeks ago, Unilever — the £105bn, 130-year-old consumer goods group — has today chosen Rotterdam over London as the location of its new unified headquarters, and new single legal entity. There will now commence the most predictable row over why it has done so, and what this says about Brexit." 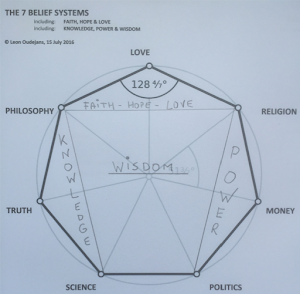 In my concept of the 7 Belief systems, Money sides with Politics, its natural ally. The Unilever move shows (i) a decoupling between business (ie, Money) and unpredictable and unstable UK politics, and (ii) a coupling of business with predictable and stable Dutch politics. Money prefers arrogant Globalism / Internationalism over ignorant Nationalism (my 2017 blog). Unilever's move will trigger similar considerations by other UK companies. The Brexit timeline is already short and ambitious. Furthermore, the "UK does not have the skills to negotiate a good Brexit deal" (Independent), whereas the EU is (very) skilled in (trade) negotiations. Moreover, the preliminary Brexit negotiation results are not hopeful for international businesses with UK domicile. At some point, UK businesses must decide on decoupling with UK politics. To a continental European, the UK negotiation strategy is one of "only benefits, no burdens" and/or "all gain, no pain". Essentially, this is a zero-sum game of winners and losers. This suggests an upcoming confrontation in which both sides will end as frenemies. The longer you pursue extreme negotiation positions, the more difficult it becomes to return to "mutual gain & pain". Extreme Negotiations, HBR-2010: "As well as pressuring people to act fast, a threatening situation makes them want to look strong and more in control than they probably are. In this state of mind, negotiators tend to stake out extreme positions and make aggressive demands. Unfortunately, that almost always triggers or exacerbates resistance from the other side. Discussions become contentious and inefficient, and both parties run the risk of a stalemate." This stalemate may trigger the "extremely exceptional circumstances" clause, which the UK government added as an amendment to its EU withdrawal bill (Guardian). Also see my Mrs May's Machiavellian Moves blogs. How do you prove your innocence? Why do we ask Why questions? From dating to swiping to nowhere?